An EDC map of the project site. On Wednesday, the Economic Development Corporation (EDC) and the Department of Housing Preservation and Development (HPD) committed to ensuring that at least 50 percent of the apartments at the African Burial Ground project would be rent-restricted for families making below 80 percent AMI, with 20 percent for extremely low-income families making below 30 percent AMI, or $24,480 for a family of three. The city has not yet committed to ensuring the other 50 percent is rent-restricted. EDC intends to redevelop the MTA bus depot on East 126th Street with a memorial for the recently discovered, desecrated remains of an African cemetery, along with a mixed-use project that includes roughly 730 units of housing. The city’s application to rezone the site to a high-density residential designation entered the Uniform Land Use Review Procedure (ULURP) in February. If approved by the City Council, EDC will issue a Request for Proposal (RFP) to find a developer. 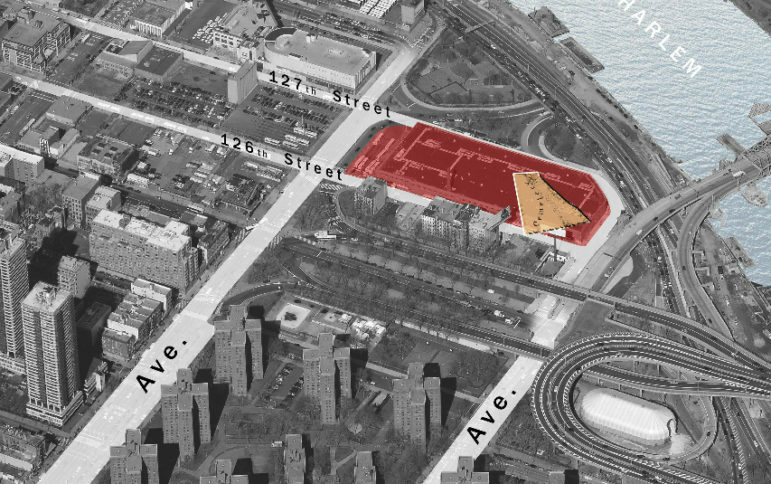 The large site is immediately adjacent to the city’s proposed East Harlem rezoning, and has figured into discussions of how much rent-restricted—verses high-end—housing the De Blasio administration’s actions would bring to the neighborhood. Some community advocates believe that the city should always mandate that development on the city’s dwindling public land should be 100 percent affordable. At a hearing in September, members of Community Voices Heard and a representative from Manhattan Borough President Gale Brewer’s office said that the city should ensure that all the apartments are rent-restricted, while others expressed concern that a project of such magnitude might overshadow the memorial. Though the city has not committed to 100 percent affordability and says the final affordability levels will depend on the outcome of the RFP process, the announcement that 20 percent of the apartments would be for families making below $24,480 won affirmative statements from Brewer and City Council Speaker Melissa Mark-Viverito in an EDC press release. Diane Collier, chair of Community Board 11, also celebrated the news. But some neighborhood advocates say that as 38 percent of East Harlem households make less than $24,480, 20 percent of apartments is not enough, and that the city will be responsible for displacement if it does not increase the amount of apartments for this bracket. 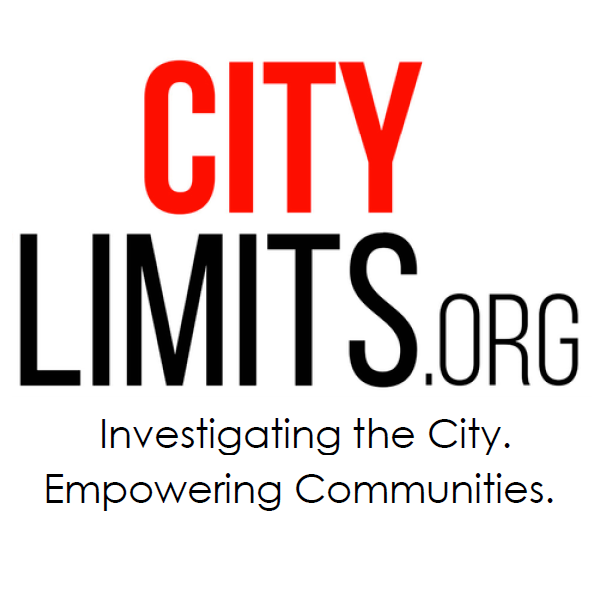 Organizations like Community Voices Heard have already expressed disappointment that another public site in the neighborhood that the city intends to redevelop with 100 percent rent-restricted units will only set aside 20 percent of such units for families making below $24,480. Roger Hernandez of El Barrio Unite said he opposed zoning changes that allows buildings higher than 12 stories, and continues to oppose the East Harlem neighborhood rezoning. While the exact heights of the buildings have not been determined, for the purposes of environmental analyses the city imagines the project would include two buildings, one 34 stories and the other 19 stories. *Correction: Originally implied that Paula Segal was speaking about the housing component of the site. In fact, she was referring in her e-mail to the memorial portion. Is the burial site considered “communities space” for the developers? In 2004 the island was rezoned to preserve suburban character and restrict population growth. Now islanders have decided they want a thriving downtown as well as quiet streets, so the zoning maps are again open for an edit. Residents of public housing near the area likely to be rezoned are worried that their community will not benefit from the jobs and housing created by the redevelopment. The voices of New Yorkers weighing in on the rezonings proposed for their neighborhoods.